There’s more to Private Dining Rooms than dinner! 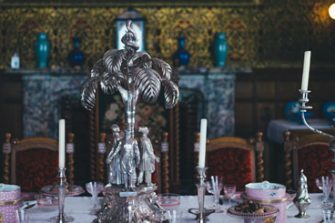 We can help you find the perfect venue for a private breakfast meeting, a luxury lunch, a drinks reception or even an exclusive afternoon tea. Or for a private function with an extra dash of exclusivity, how about booking a Chef’s Table event or choosing a genuine Michelin-starred venue? 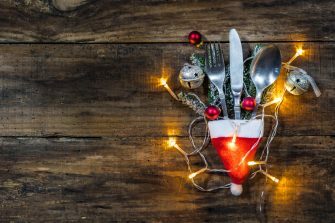 Looking for a rocking party venue for an office Christmas party or a fun festive gathering with friends or family – well the Capital’s restaurants, bars, hotels, iconic and eclectic venues are all primed to welcome partygoers this Christmas season. From intimate fine dining and Michelin starred restaurants with stunning and discrete spaces, to casual restaurants, pubs and bars with atmospheric private rooms, even yachts and penthouse venues with views of the Thames, there’s the right place for your event, whatever your crowd. And if a great meal and an iconic City view isn’t enough to satisfy your team, don’t forget there’s a whole world of activity-based events to be had in private rooms too – from bowling and karaoke, to ice skating and ping pong, it’s all to play for! London is one of the world’s most picturesque and romantic destinations to get married. 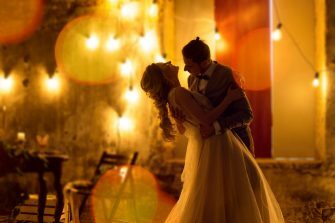 Whether you’re planning a traditional church ‘do’ followed by a wedding breakfast in a five star hotel on Park Lane or a civil wedding ceremony in a striking venue and reception at one of the Capital’s amazing venues, or a small, discrete event, it’s all there to choose from. Thanks to changes enabling non-religious establishments to hold marriage licenses, London’s venues have opened their doors and wedding ceremonies in hotels, restaurants and a wide range of glamorous venues are now commonplace. From classic venues such as Dartmouth House, The Royal Overseas League, Fortnum & Mason, Mosimann’s or The Stafford hotel to more modern options such as Nobu Shoreditch, Sketch and The Shard. 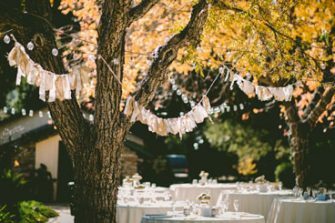 Of course, some couples prefer to celebrate their big day in lower-key, more relaxed surrounds, and there are plenty of casual dining options for this too that also still deliver an undeniable wow factor such as Aubaine, The Don Restaurant and L’Escargot. Restaurants with private chef’s tables, often Michelin acclaimed, allow you and your guests to enjoy the theatre of the kitchen and meet the chef and his kitchen associates. Chef’s tables usually accommodate smaller private dining groups and are often separated from the kitchen by a glass partition which literally provides a window to all the activity going on behind the scenes to create the dining experience that you are all enjoying. A select group of restaurants with Chef Tables are holders of Michelin stars and a Chef’s Table provides the perfect environment for smaller, more intimate private dining events. Michelin Star restaurants with private dining rooms are the perfect venues in which to hold special group dining events such as business lunches with clients and corporate dinners. The kudos of the restaurant’s Michelin acclaim combined with the culinary excellence, opulence and attention to detail that such restaurants automatically provide act as guarantees that the private dining event will be an experience never to be forgotten by host and guests alike. 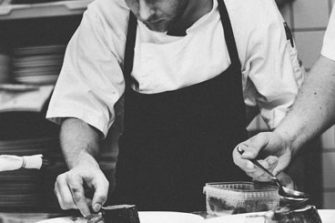 Michelin stars are hard won and equally hard to retain due to the high standards demanded by the Michelin Guide inspectors who are always arrive unannounced & unidentified and pay for their own food and drink when inspecting the restaurants that they visit. Many Michelin starred restaurants also have private Chef’s Tables which typically provide a window to the action of the kitchen and allow dining guests to be personally attended to by the chef and his team. Are you looking for inspiration for a special birthday? Perhaps you are searching for ideas for memorable 21st birthday ideas, 40th, 50th, or even 100th – private dining rooms are ideal. These divine dining rooms, in the finest of restaurants, are ideal for birthday party hire to give a memorable experience to treasure forever. Afternoon tea is a uniquely English private dining institution of which we can be very proud. Who can resist the temptation of freshly cut finger sandwiches with a delicious selection of traditional fillings, scones and jam followed by a tempting selection of cakes. accompanied by classic afternoon tea served from a bone china teapot and a glass of champagne? 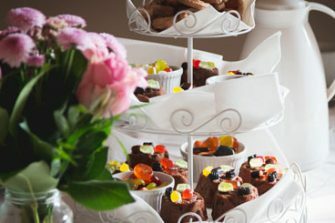 At www.privatediningrooms.co.uk we have a great range of top restaurants serving afternoon tea in London and throughout the UK to make your afternoon tea party a memorable event.